Presented by the New Holland Business Association. 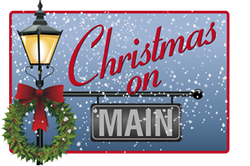 Christmas On Main is an old-fashioned community event that celebrates the joy and spirit of the Christmas season. Come out and enjoy a wide variety of activities, food vendors, music, prizes, and much more! All events and activities are FREE and open to the public. Free parking is also available.